On April 15, 1912, Titanic, the world's largest ship, sank after colliding with an iceberg claiming more than 1,500 lives and subsequently altering the world's confidence in modern technology. More than 100 years later, The Northwest Museum of Arts and Culture will pay tribute to the tragedy with Titanic: The Artifact Exhibition, where legendary artifacts conserved from the Ship's debris field are showcased, offering visitors a moving look at this iconic Ship and its passengers. The Exhibition has been designed with a focus on the legendary RMS Titanic's compelling human stories as best told through authentic artifacts and extensive room re-creations. Over the past 25 years, more than 40 million people have seen this powerful exhibition in major museums worldwide. The exhibit opens this Saturday, October 21. For tickets and more information including museum hours, visit www.northwestmuseum.org. 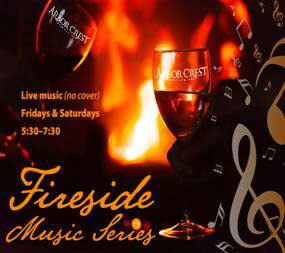 Fall is in full swing and the Fireside Music Series returns at Arbor Crest's Wine Bar, starting this Friday, October 20 and Saturday, October 21. This Friday, two veterans from one of Spokane's best cover band, (The Spare Parts), The Scott & Kevin Show will kick off this season's Fireside series. This Saturday, singer-songwriter and guitarist Dan Conrad is guest musical artist, performing pop, country & rock covers. Music runs from 5:30-7:30 both nights, no cover. Wine, beer and food available for purchase. To see more, visit arborcrest.com. The Spokane Symphony's 'Tales of Tragedy' this Saturday, October 21 at 8pm, and Sunday, October 22 at 3pm, features guest artist Conrad Tao, performing Saint-Saens' superb Piano Concerto No. 2, one of the most challenging pieces in the piano repertoire. Tao was in Spokane four years ago when he astonished everyone by performing all five of Beethoven's piano concertos in two days, from memory-at age 20! 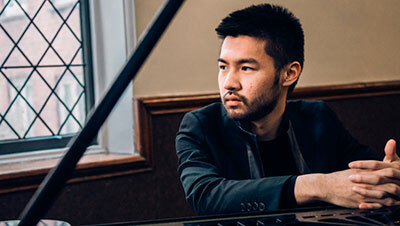 Tao is quickly earning an international reputation as one of his generation's most important classical music talents. The 'Tales of Tragedy' concert starts with Cesar Franck's 'The Accursed Huntsman,' which is followed by Tao's concerto, and then Richard Strauss's 'Macbeth' and 'Till Eulenspiegel's Merry Pranks' round out the program. Tickets are available for these performances at the Martin Woldson at the Fox, at the box office, by calling 509-624-1200, and at www.spokanesymphony.org. Tickets also available at all TicketsWest outlets. The Chiefs play the Moose Jaw Warriors tonight, October 18. Then on Friday, October 20, it's the Chiefs vs Kamloops Blazers. Both games start at 7:05pm. For more information, visit www.spokanearena.com. Tickets also available through www.ticketswest.com or 800-325-SEAT. 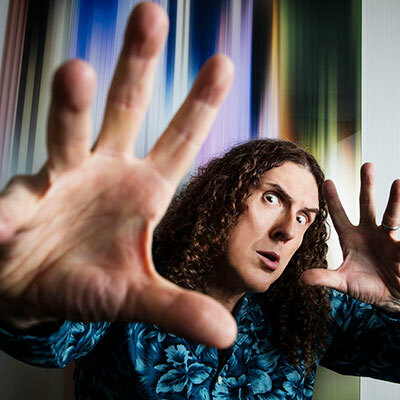 Fox Presents 'Weird Al' Yankovic with special guest Emo Phillips, for the Ridiculously Self-Indulgent, Ill-Advised Vanity Tour, May 27, 2018 at Martin Woldson Theater at The Fox. After his highly successful Mandatory World Tour, Yankovic decided to take a break from the energetic theatrics that he's known for, this tour's show goes bare-bones - no costumes, no props, no video screens. Just Al and his band of three decades, hanging out on stage, playing music. 'Weird Al' promises to deliver a different set list every night, and no two shows will be the same. Tickets go on sale at 12noon this Friday, October 20. For tickets, visit www.foxtheaterspokane.com, the Fox Theater Box Office at 509-624-1200, all TicketsWest outlets or 800-325-SEAT.